Dietary intolerances to fructose, fructans and FODMAPs (fermentable oligosaccharides, disaccharides, monosaccharides, and polyols) are common, yet poorly recognized and managed. Over the last decade, they have come to the forefront because of new knowledge on the mechanisms and treatment of these conditions. Patients with these problems often present with unexplained bloating, belching, distension, gas, abdominal pain, or diarrhea. Here, we have examined the most up-to-date research on these food-related intolerances, discussed controversies, and have provided some guidelines for the dietary management of these conditions. Breath testing for carbohydrate intolerance appears to be standardized and essential for the diagnosis and management of these conditions, especially in the Western population. While current research shows that the FODMAP diet may be effective in treating some patients with irritable bowel syndrome, additional research is needed to identify more foods items that are high in FODMAPs, and to assess the long-term efficacy and safety of dietary interventions. Satish S. C. Rao declares no conflict of interest. Amy Fedewa is employed by Georgia Regents Medical Center. This article does contains studies with human subjects performed by the authors that were approved by ethics boards. Halmos EP, Power VA, Shepherd SJ, Gibson PR, Muir JG. A diet low in FODMAPs reduces symptoms of irritable bowel syndrome. Gastroenterology. 2013;pii: S0016-5085(13):01407–8. 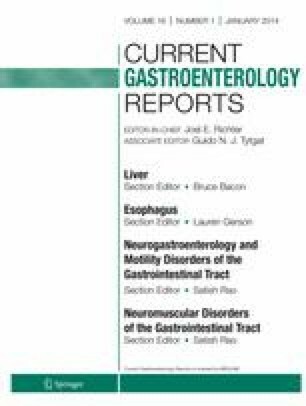 doi: 10.1053/j.gastro.2013.09.046. This randomized controlled trial provides evidence on the efficacy of FODMAPs in IBS.